The need for the strict confidentiality of personal information about patients and clients is taken very seriously. This document sets out our policy for maintaining confidentiality and all members of the laboratory team must comply with these safeguards as part of their contract of employment. The relationship between our laboratory and our clients is based on the understanding that any information received regarding a patient will not be divulged without prior consent. Patients undergoing dental treatment have the right to privacy and this is extended to information supplied by the dentist to our laboratory. 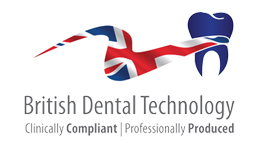 If confidentiality is breached, the Dental Care Professional (DCP) faces investigation by the General Dental Council and possible erasure from the DCP Register. There are certain restricted circumstances in which this laboratory may decide to disclose information to a third party or may be required to disclose by law. A brief summary of the circumstances is given below. where disclosure is necessary for a laboratory to pursue a bona-fide legal claim against a patient or client, when disclosure to a solicitor, court or debt collecting agency may be necessary. Due to the nature of records held by our laboratory, registration with the Information Commissioner is not required. Patient name or in it absence a reference number and on occasion’s details such as age and gender should this be necessary to produce the appliance. Study models and where necessary clinical photographs. Information about the required design of the dental appliance. Information about the dental laboratory sending the work. To enable our business to undertake proper accounts and to maintain compliance with the Medicines and Healthcare products Regulatory Agency (MHRA). No data is processed in this laboratory expect for producing financial invoicing to our clients. This laboratory is committed to ensuring the security of all data and information held by the business and this objective is expected by every member of our team without exception. Access to any information held is on a “need to know” basis only. Access to information is monitored and breaches of security will be dealt with swiftly. Records are kept in a lockable fireproof cabinet, which is not easily accessible by visitors to the laboratory. Efforts have been made to secure the laboratory against theft by, for example, the use of intruder alarms, lockable windows and doors. The laboratory has in place a business continuity plan in case of a disaster. This includes procedures set out for restoring data. This statement has been issued to all existing staff, should any staff have concerns about the security of any information or data held within the laboratory they should contact the laboratory manager.